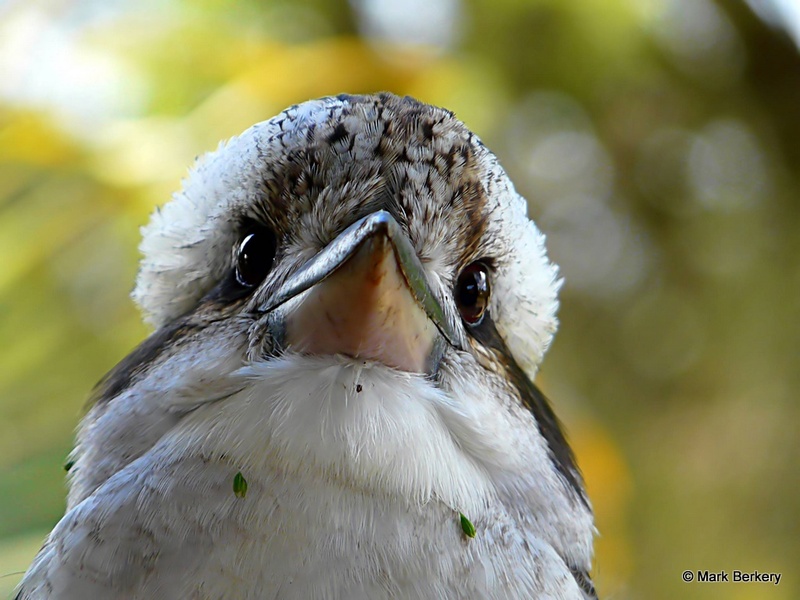 Stunning portraits of these amazing birds. 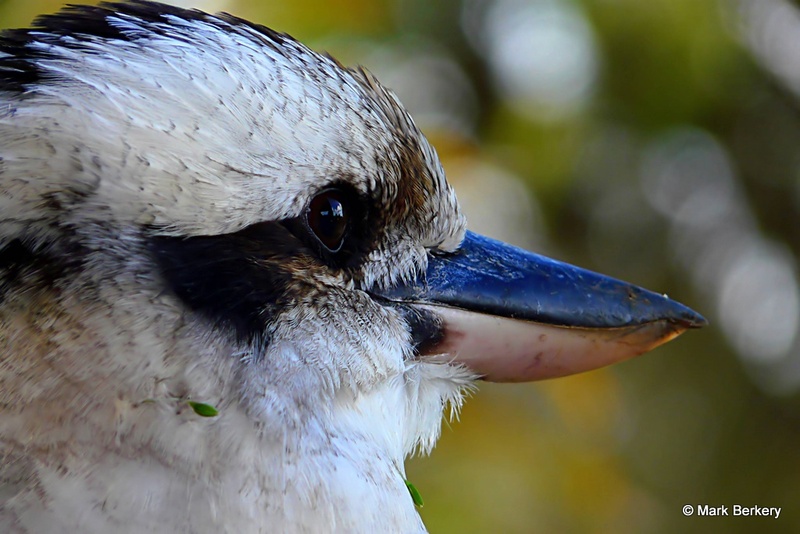 I was totally enamoured by the kookaburras when I was in Australia several years ago now. I’ve spent much of my life studying birds, and I agree, there is something pretty magical about them. that’s so cool. :) it sure has been a weird spring/summer. it’s cool to see how animals adapt. 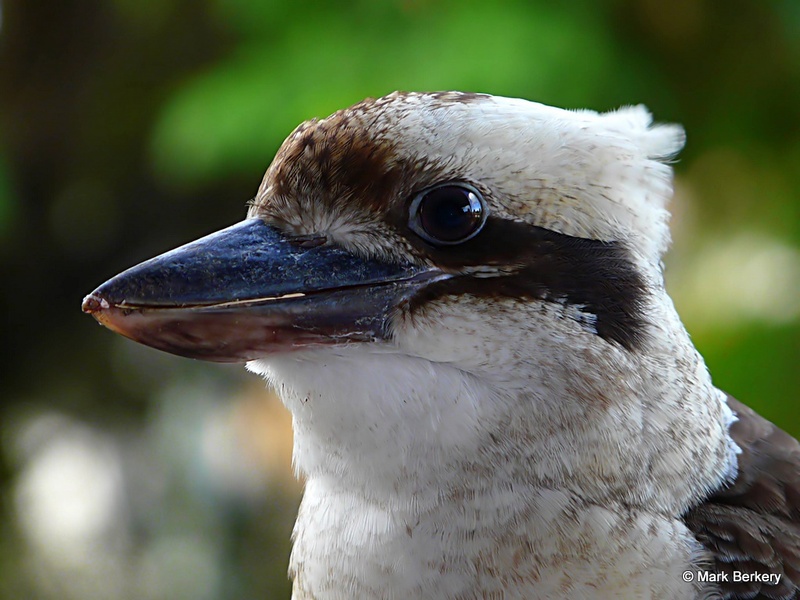 Great kookaburra shots! You’re lucky to have them so close! I love how the first one looks like he’s grinning. Thanks Mike. Lucky, yes. Haven’t you noticed, all natural creatures have a smile. It’s not easy to see sometimes though. They are amazing birds and you have certainly captured the beauty of them! It always amazes me, the quality of your photography, and on top of that ” Love to the Nature “. Like those photos here, —– were they photographed by your Panasonic camera and on its zoom ? And such as the second photo ( looking up ) —– how you managed to capture such intimate image ? —– All those because you spend long enough to be friended with them ? shoulder ) as to be a Zen master ? Thanks to show me the great teachings. G’day Yoshi. These were shot with an FZ18 from about four feet away and I had time to get it right as the birds simply sat there for me. For almost any other shot of birds you will need your very fast high quality SLR. It’s true of many creatures if you spend time showing them you are not a threat, and especially if you feed them in their time of need, they will come to accept you, closer and closer. And if a zen master has birds feeding out of his hand that’s because he’s in his own garden and has fed them before. But it won’t likely happen if you are not where birds are, will it. You captured so much personality in the pictures! They’re wonderful – as are your words on the topic. Thanks for sharing them! Thanks LE. Every creature is a unique expression of a certain wonder, or character, or life. You know, the unnameable behind. If I capture anything it is what is presented and that I am present to the expression. I trust I make sense. I can approach within a few feet of them without a sign of fright. In fact I have hand fed one once, they are very trusting for wild birds. Thanks you Nia. The beauty you see is within you. wow, both the photographs and your words are beautiful and such a special thing to share. Very nice shots, as usual. Thanks for sharing. Thank you Star. Birds are difficult, fast, but I was lucky these guys just sat there for a while so I could get it right on a few. If you are in a country with cold winters you could feed them regularly in the garden when they need it and they will get used to you.